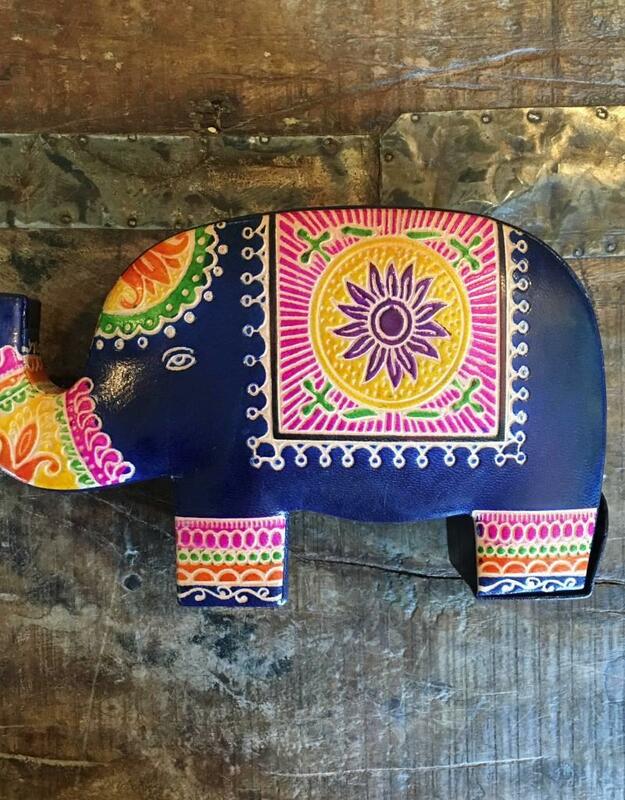 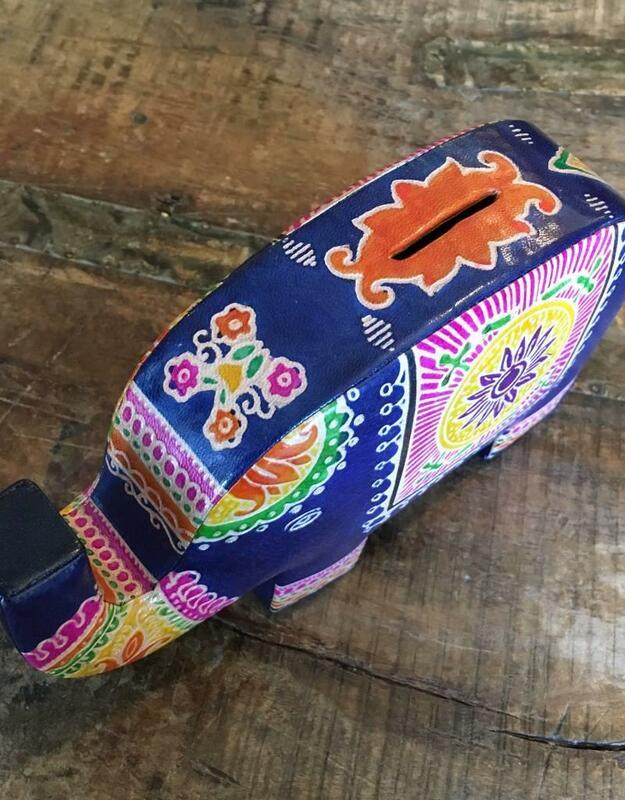 This cute and colorful elephant is ready to store spare change and savings! 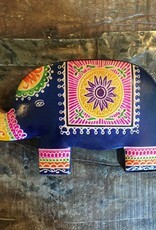 It is handmade with sustainable leather from India: cows are not killed for hides, rather, in this vegetarian region the leather is obtained after the cow passes away naturally. 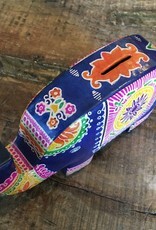 It measures 8 inches long, 1.75 inches wide, and 4.75 inches tall and has a flap to open the bank when you or your child is ready to take out the money!